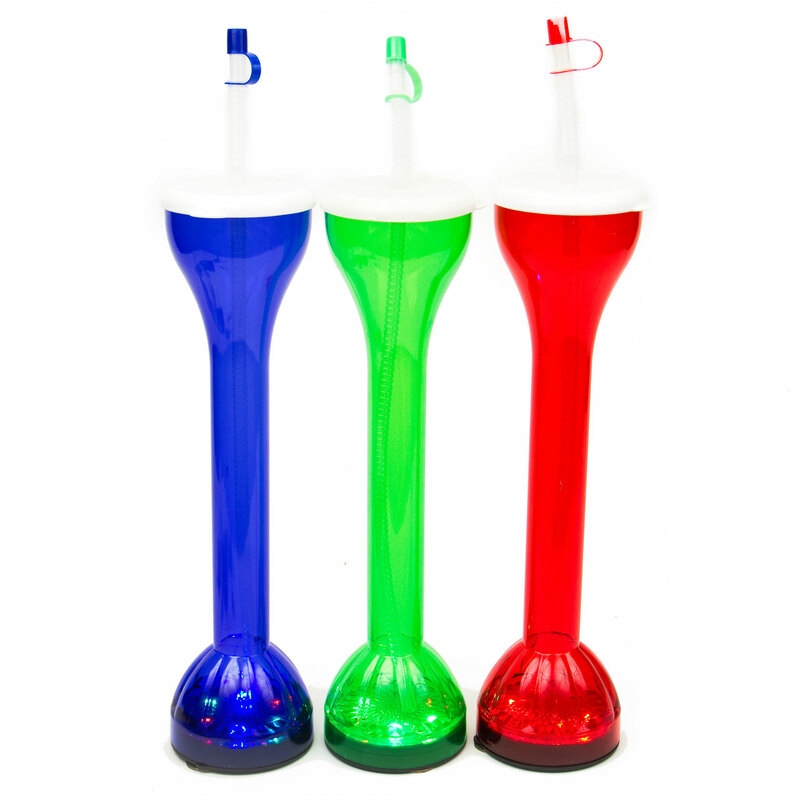 Drink in Style! 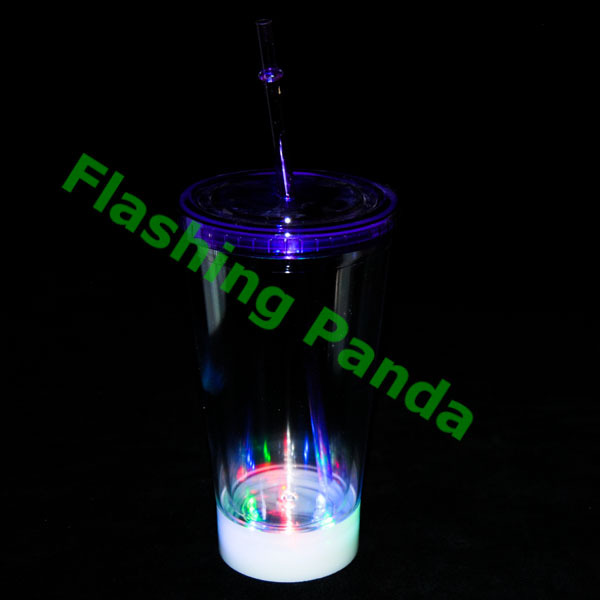 No matter what the event, Flashing Panda has the drinking glasses to make you the most stylish drinker there! 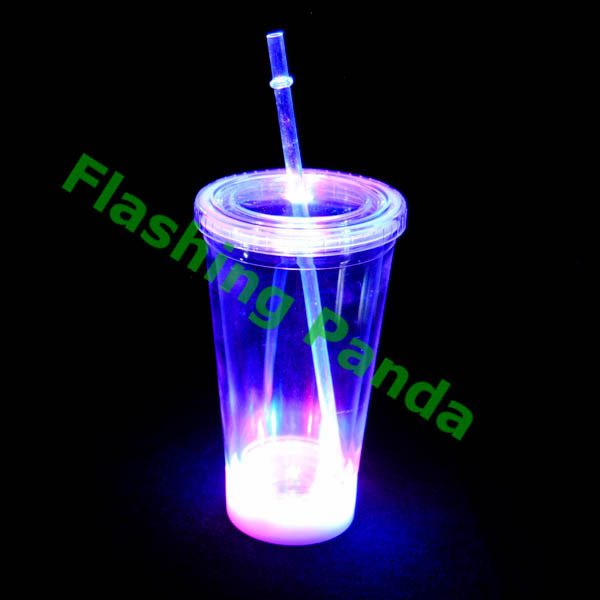 Made of high quality acrylic, this cup is double-walled to offer insulation for your beverage. 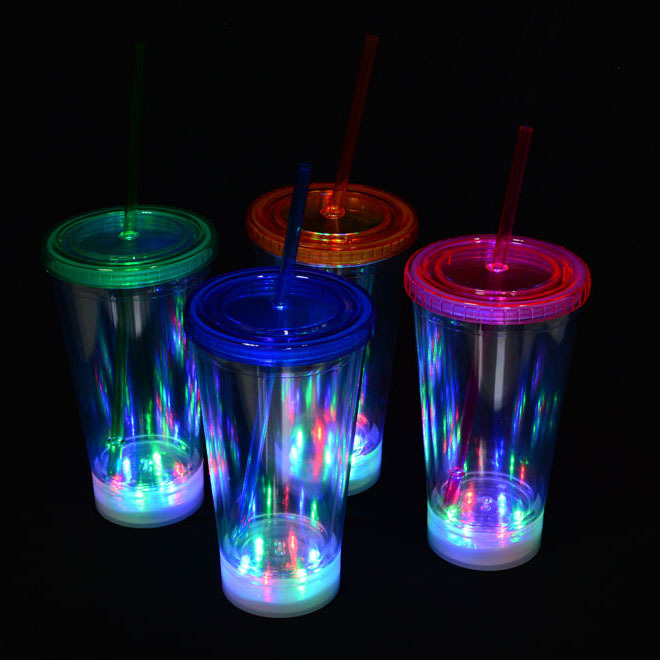 Keep your drink nice and cold with our lighted insulated travel cup. The clear and high gloss cup is ideal for that morning smoothly, iced tea or coffe, or a coctail. 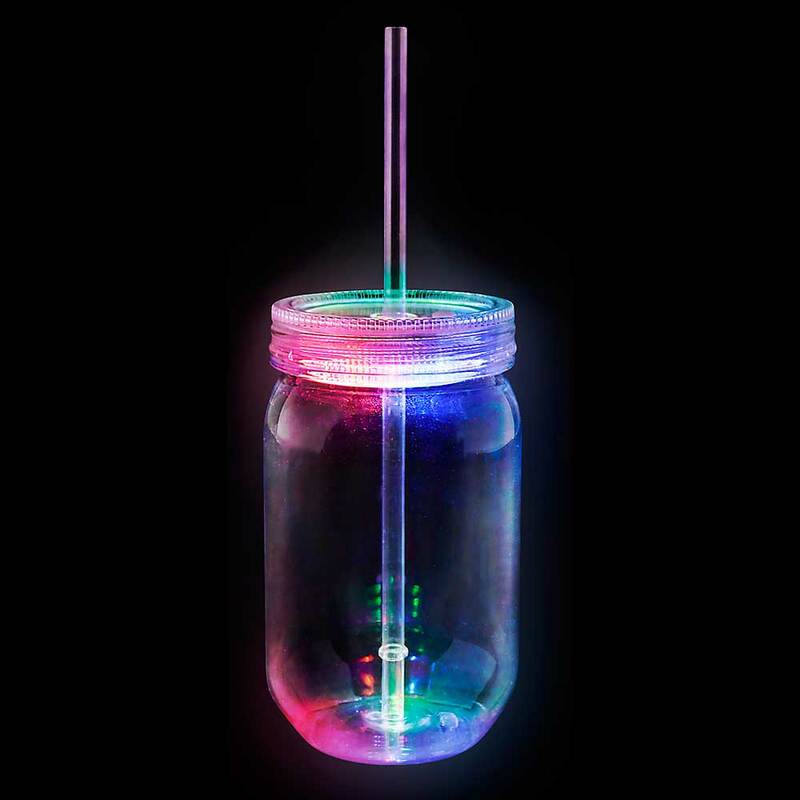 Your drink will have a special glow when you turn on the LED lights. With 3 modes to select from, it will never be a dull moment. 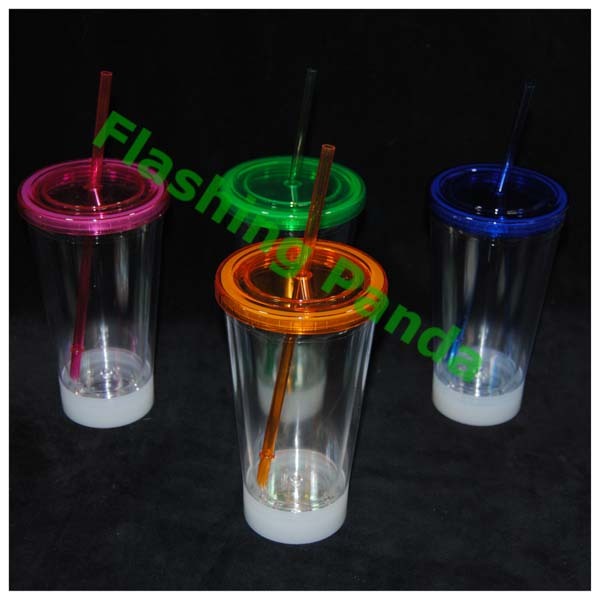 Each cup comes with your choice of color lid and straw. 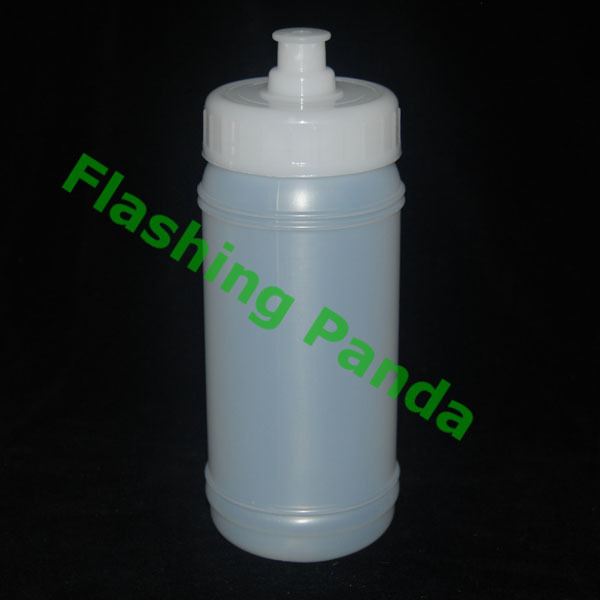 Great for the car, as it comfotably fits in the vehicle's cup holder.